He’s a full-time dad and about to be a husband too. Ricky Martin always wanted kids of his own and his two boys, Matteo and Valentino, were born in 2008 with the help of a surrogate. Two years later Ricky officially came out of the closet and now he’s engaged to Syrian born artist Jwan Yosef. Soon the boys will have two dads. When he’s not touring, Ricky is admirably active in humanitarian – especially children’s – causes. 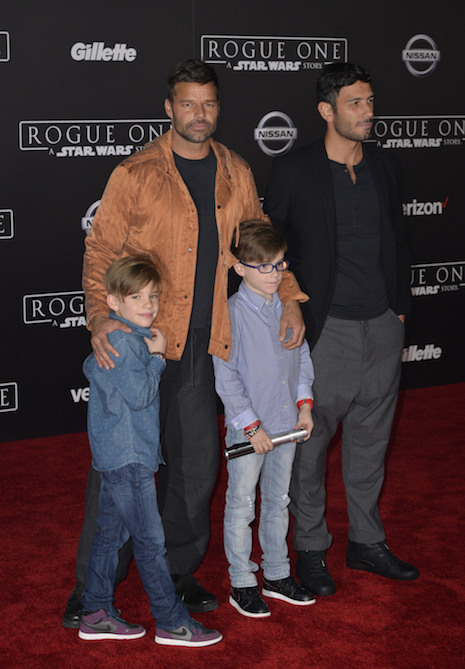 Ricky brought the boys and fiancée Jwan to the Rogue One: A Star Wars Story premier. Now, a chocolate to help you shed flab!